A possible Beidaihe meeting remains a topic of intense speculation, with little certainty. In the summer, past and present Chinese leaders gather in the seaside resort town of Beidaihe, over 200 km from Beijing, to decide on policy goals and leadership shuffles. At least, so we think – the meeting is always shrouded in secrecy, making the subject matter, attendance, and even the timing of the meeting a subject of educated guesswork and rumor. In fact, the secretive summit is often marked by absence rather than presence: China watchers have been scouring official media reports for signs of China’s top leaders out and about in places other than Beidaihe. When days pass without these leaders being featured on the evening news, speculation grows that they’ve gathered in Beidaihe. On the same day, however, another official media outlet in China ran a story insisting that the Beidaihe meeting wasn’t going to happen at all (the piece was summarized in English by People’s Daily). The Economy and Nation Weekly article runs through the history of the Beidaihe summit – from its start in 1954 to a hiatus during the Cultural Revolution, then a resumption during the 1980s under Deng Xiaoping. Then the piece asserts that Beidaihe, the “summer capital” of China, “bid farewell to the historical stage” in 2003, when top leaders decided not to hold a meeting there. In other words, Beidaihe hasn’t been important for over 10 years. Under the current leadership, which has placed such an emphasis on eliminating wasteful government spending, it’s even less likely for the Party to hold a meeting at a seaside resort town, the article argues. Instead, it insists that Party leaders only gather there for rest and convalescence (although it acknowledges that in 2013 and 2014 Xi sent Liu Yunshan to meet with assembled “experts,” and that Xi himself had gone to meetings there in previous years). The article also argues that, since the Politburo just held meetings on July 20 and 30 to discuss everything from the Five Year Plan to the economy and the anti-corruption campaign, there’s no point or need for further discussions at Beidaihe. “As Chinese politics gradually moves toward transparency and ‘standardization,’ there’s no need for Beidaihe to be so ‘mysterious,’” the piece proclaims. 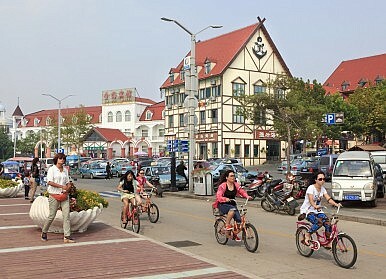 It predicts that the resort town will gradually lose its political flavor and return to its original role as a scenic resort town. “If you want to take current and retired top leaders vacationing in Beidaihe, or talking about some extra topics while conducting official business (and don’t ordinary Chinese people often talk current events and policy at the dinner table?) as a ‘Beidaihe meeting,’ then I have nothing to say,” the piece concludes. But foreign media tends to see even the reported lack of a Beidaihe meeting as a political conspiracy. In 2003, the New York Times wrote that the decision to cancel the Beidaihe meeting was likely an attempt by then-President Hu Jintao to limit the influence of retired officials, especially former President Jiang Zemin. A similar theory has emerged this year: that Xi Jinping wants the meeting canceled to prevent Jiang and his supporters from bringing their influence to bear on the decision making process. Meanwhile, other publications continue to simply report that the meeting is underway. The rumors remain just that – rumors. Who’s in Beidaihe? What are they talking about? Is there even a meeting at all? There’s no way to answer even these basic questions with any degree of certainty. Yet China watchers attribute a great deal of importance to this secretive gathering, reporting, for example, that it was at Beidaihe where the final line-up for China’s 2012 leadership transition was decided. The speculation around Beidaihe is a clear reminder of just how little we actually know about the top-level decision making process in China. The Chinese Communist Party remains, to all intents and purposes, a black box. Instead, we should be aware of anti-reforms forces as reforms enter ‘deep water’ areas.